As described there, I’m the sort of person who thinks on grid paper. 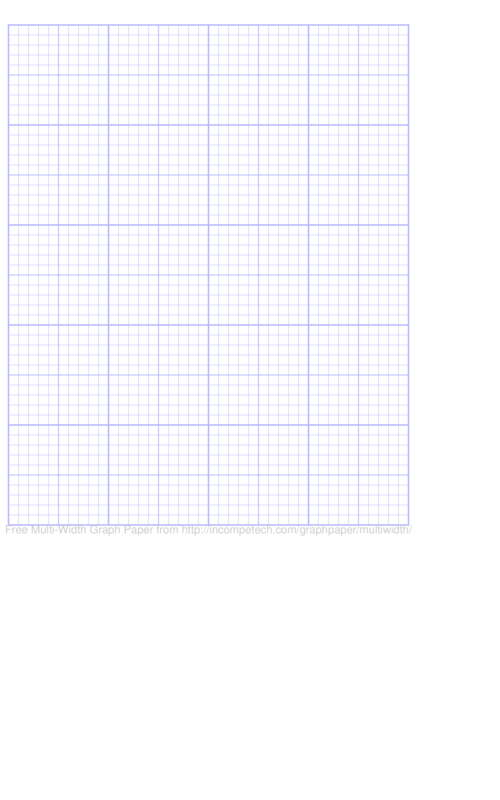 This being a new paper size, I went to incompetech.com again, set up a nice 4×5″ grid, fetched the PDF, then discovered that 4.25×5.5″ paper isn’t one of the R380 printer’s standard sizes. So I loaded the PDF into The GIMP and aligned it within a 5×8″ page. After a bit of to-and-fro tweakage, the grid came out neatly centered on the flyer. The image is the resulting PNG file, which should Just Work if you have a similar setup and print on a borderless 5×8″ page. There may be some interaction with the default 2% borderless printing expansion; I turned that off in the Turboprint driver. 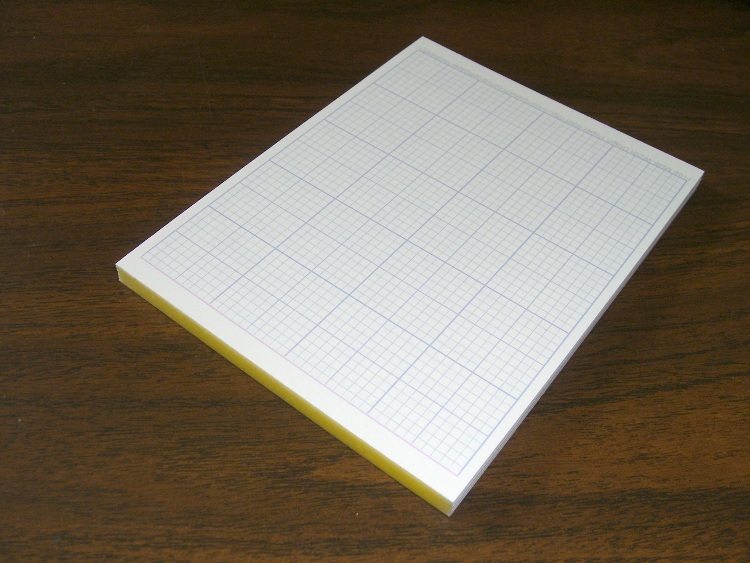 You (well, I) want exact 1″ grids! If you don’t have a full-bleed printer, some fiddling with the margins may be in order. My Epson R380 printer feeds & prints top-first and left-aligned, if that’s any help. Anyhow, I ran off two dozen grids, whacked some cereal-box cardboard to the right size, and padded everything together with Elmer’s Wood Glue to see how that works. It’s a bit stiffer than I’d like, but these flyers are more like thin cardboard than thick paper. [Update: I wonder why somebody rated this one as “Dead Wrong”? It’d be useful to know what went wrong; the comments box works just fine. This entry was posted on 2009-05-15, 07:55 and is filed under Administrivia. You can follow any responses to this entry through RSS 2.0. Both comments and pings are currently closed.